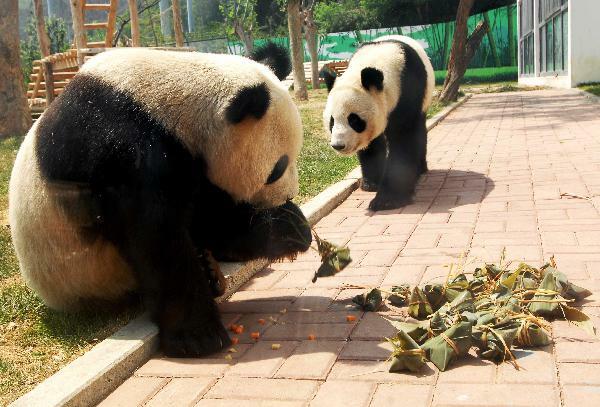 Qing Feng @ Hua Ao, 2 male pandas who live at the Nanshan Zoo in Yantai, get to eat zongzi (rice dumplings), a kind of traditional food for the Duanwu Festival. 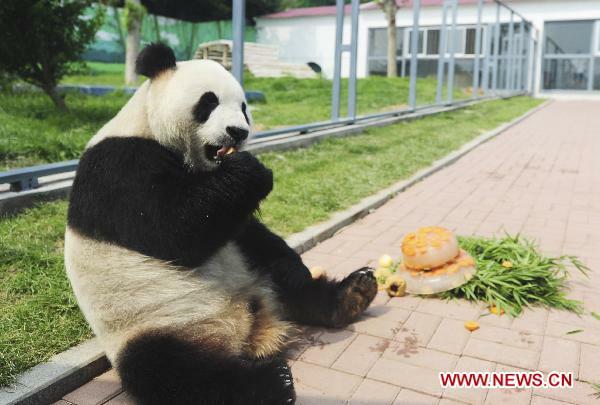 The Nanshan Zoo invited citizens to make zongzi for the two giant pandas in the Duanwu Festival holidays. The festival, also known as Dragon Boat Festival, falls on June 6 this year. 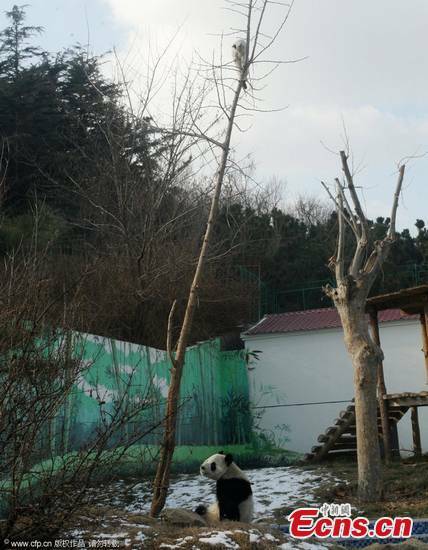 Si Jia at the Yunnan Safari Park (http://roll.sohu.com/20110607/n309491526.shtml) & Le Le and Ying Ying at Ocean Park Hong Kong (http://blog.sina.com.cn/s/blog_66ec2c140100sxha.html), also enjoyed some bamboo dumplings.